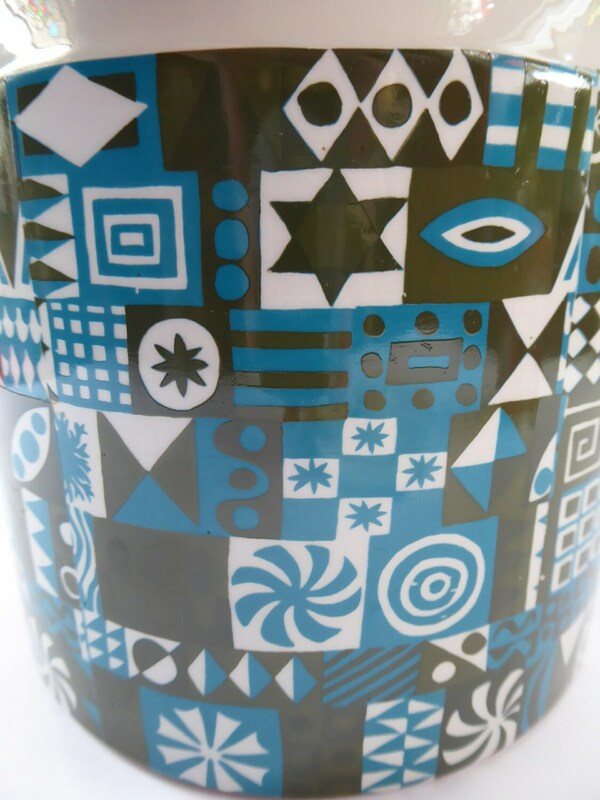 This is a lovely exotic design dating to the mid 1960s. 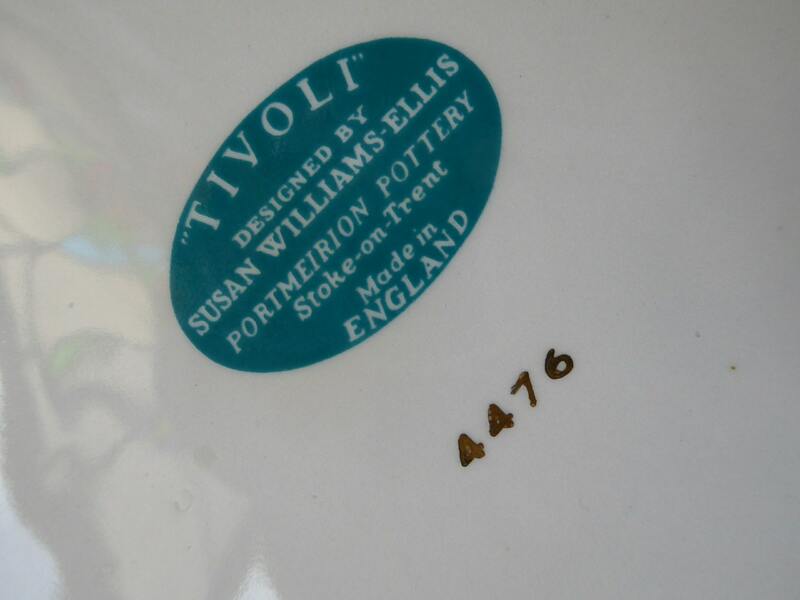 From his wonderful design, Susan Williams-Ellis was inspired by a visit to the Tivoli Gardens in Copenhagen. She created a very graphic pattern of squares, circles, diamonds and stars. The design was originally created the design in bright colours of pink and blue, violet and grey and red and orange. However, Susan was persuaded to market two softer versions of blue and brown and turquoise and olive green and the design was launched in early 1964. It never sold in great quantities and was therefore only produced for a few years. 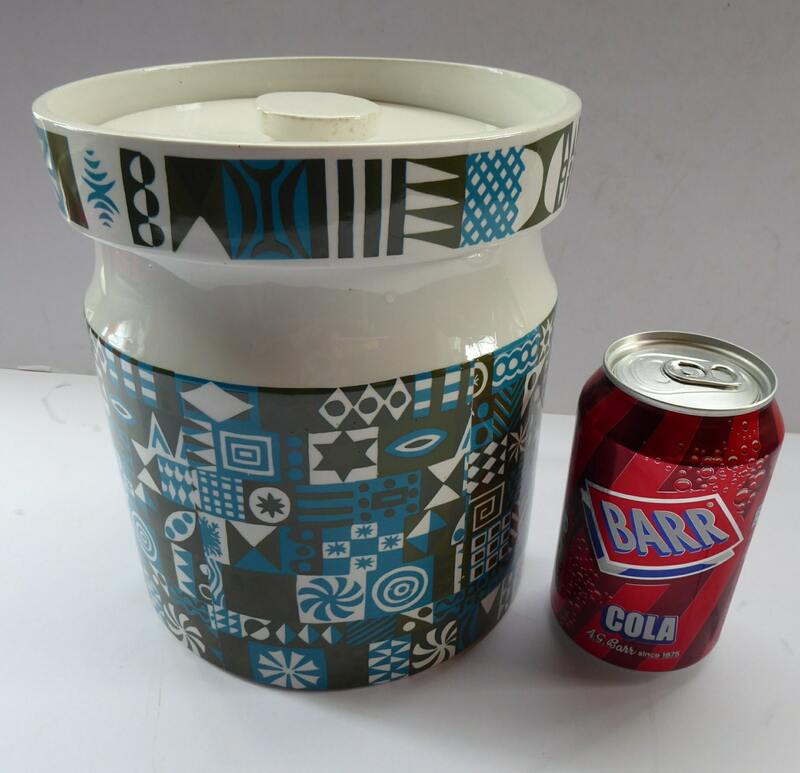 This is the largest cannister in this range - measuring 7 3/4 inches in height and 6 3/4 inches in diameter. It dates from the 1960s and has the turquoise Tivoli backstamp on the base. I have never seen another with this rarer pattern and of this very large size before. This is reflected in my fair asking price for this collector's piece. 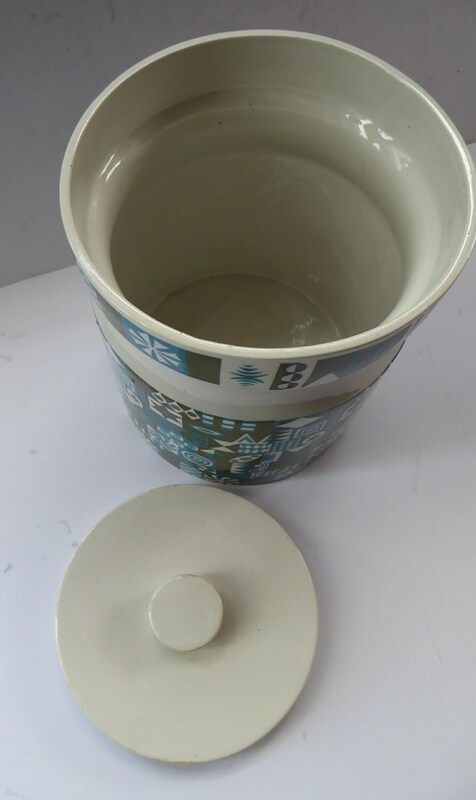 The pot is in good vintage condition with no chips, cracks or nasty staining. Nice and clean inside. There are a couple of little glaze scuffs to the edges of the knob on the top of the lid but generally all fine and dandy. 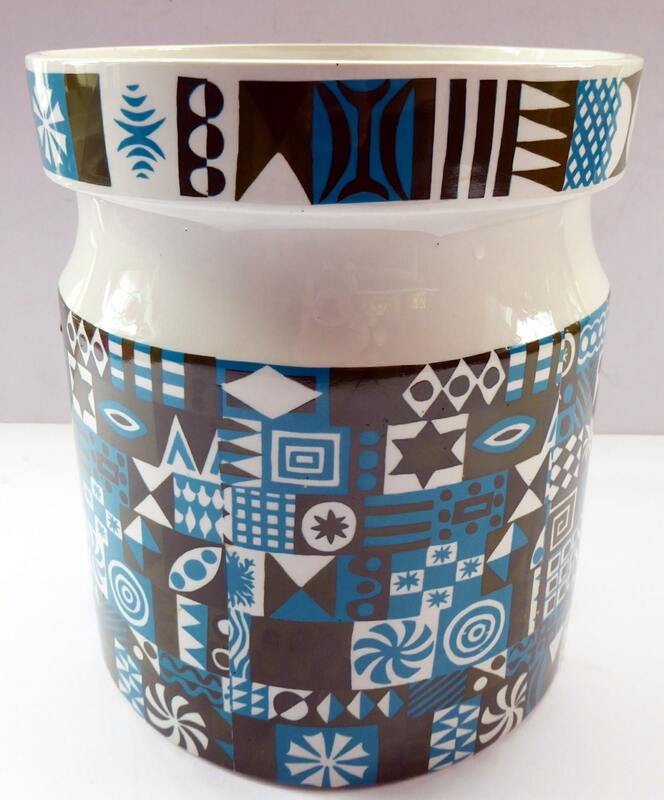 A really lovely storage jar. Due to its size and weight - this would be limited to UK posting only.